In 1946 my dad, Jimmy King Anselmo, bought a building at 339 Bourbon St. He named the club Jimmy King’s Mardi Gras Lounge. As a little boy, I can remember playing with the drums on stage. He had live music for the entertainment. I think he sold the business and the building around ’53, and the name of the club stayed the same for several years. Could you tell me the history of the building? You have the right name and the right block but the wrong address, Jimmy. The Famous Door is at 339 Bourbon St., but your dad’s Mardi Gras Lounge was located just down the block at 333 Bourbon St. According to the Vieux Carré Commission, the three-story townhouse building at 333-335 Bourbon St. is believed to have been built about 1838 as a two-story structure. On March 27, 1837, Jane Holden Hagan purchased unimproved lots facing Bourbon Street from Celeste Euphemie Labranche. It is likely the townhouse was built for Hagan. Unfortunately, neither its architect nor exact dates of its construction or modification appear to be known. The building was still two stories at the time of its 1855 sale from Jane Holden [Ed. note: name as it appears in record] to James Grimshaw; the third story was added at an undetermined later date. Your father’s Mardi Gras Lounge building was better known for the talent who played there than for the history of its location or previous owners. 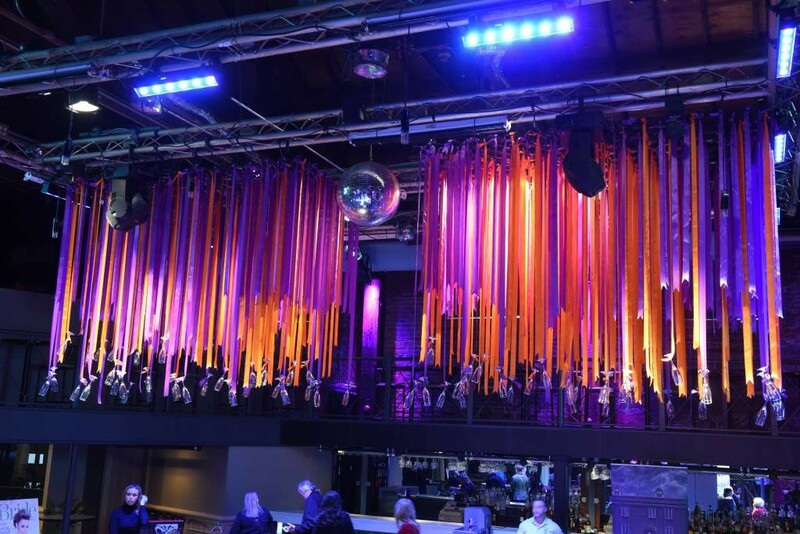 Musicians who performed there included George Louis, Papa Celestin and Percy Humphrey as well as clarinetist Sid Davilla, who later owned the club. During the time your father owned the Mardi Gras Lounge, the club featured not only musical acts but some visual entertainment as well (as you can tell from the accompanying photograph from Tulane’s Special Collections). When Walter Cook Keenan photographed the club exterior on Jan. 8, 1949, Baby Dumplin’ was the featured attraction. Like the better-known Alouette LeBlanc, the nationally renowned Ms. Dumplin’, whose real name was Rosa Mack Chagnon, was a sort of “spin doctor” who mesmerized audiences with hands-off demonstrations of the laws of physics. In other words, she was a tassel dancer who could control and even counter-rotate the long tassels that adorned both her top and bottom. Thanks to her proportional but Rubenesque heft, Baby Dumplin’ did not, in fact, bear an unfortunate resemblance to an actual dumpling, but she had the mass and muscle to generate considerable centrifugal force to drive her pectoral and posterior propellers. Rosa Mack Chagnon passed away in ’86 at the age of 64 and was laid to rest in Woodland Cemetery in Des Moines, Iowa. Engraved comedy and tragedy masks adorn her headstone, discreetly alluding to her entertainment career in a way that would not offend Midwestern mores. I seek information about the history of a building on Oretha Castle Haley Boulevard in New Orleans. It is across the street from St. John the Baptist Church and was formerly Levitan’s Furniture Store. It is now a remodeled mission. There is a stone marker on top with a large “G.” What is that significance? And what was at the location before Levitan’s? Thank you for your service on your always interesting column. In 1904, Polish immigrant Abraham Levitan (d. 1912) founded with his son, Isidore, a small furnishing store at the corner of Dryades and Clio streets. The successful business soon outgrew its original home, which measured only 15-by-45 feet (675 square feet) and moved across the street for a while before expanding once again and returning in ’24 to its original location at the corner of Dryades and Clio. Abraham Levitan’s heirs, which included sons Isidore and Morris as well as daughter Esther (Mrs. Jacob) Gordon, built at the site of the New Orleans Auto Supply Company the 30,000 square foot building that’s currently undergoing renovation and restoration at the intersection of Oretha Castle Haley Boulevard and Clio Street. Media coverage of the store’s 1924 opening shows that the mysterious “G” has always adorned the building but failed to explain its significance. I suspect the “G” may mean “Gordon.” When Mina Grodsky (widow Abraham) Levitan’s will was probated in ’16, the document specified that the couple’s children would inherit equal interests in the family business, although daughter Esther (Mrs. Jacob) Gordon would be in charge. While growing up in the late 1950s, myself, my three close friends and our girlfriends would go on Saturday afternoons to WWL-TV and be on John Pela’s “Saturday Hop” program. After the show, we would get on the Canal Street streetcar and ride almost down to the river. We would get off and go to the Royal Castle Hamburger restaurant. We would order maybe 20 burgers – they were only about a nickel back then. My question is: Exactly where was that Royal Castle on Canal and what’s there now? “Saturday Hop” debuted on WWL-TV in 1961. 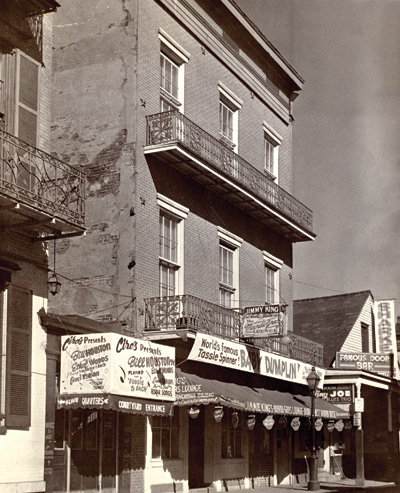 By that time, New Orleans had no fewer than seven Royal Castle restaurants, including the one you and your friends frequented at the corner of Canal Street and Exchange Place. It is now home to a Popeyes. Burger prices at the 24-hour Miami-based Royal Castle chain then cost about 15 cents, but your memory is partially correct. In the early 1960s, when you and your friends made regular stops at Royal Castle on your way home from appearing on “Saturday Hop,” the chain sometimes ran “Nickel Days” specials. During these special promotions, patrons could, with each 35-cent purchase, buy for five cents their choice of an extra hamburger, order of bacon or slice of pie. Here is a chance to eat, drink and have your curiosity satiated all at once. Send Julia a question. If we use it, you’ll be eligible for a monthly drawing for a tour and Creole breakfast for two at Degas House or a Jazz Brunch for two at The Court of Two Sisters. To take part, send your question to: Julia Street, c/o New Orleans Magazine, 110 Veterans Blvd., Suite 123, Metairie, LA 70005 or email: Errol@MyNewOrleans.com. This month’s winners are Lee Bergman, New Iberia; and Hal Berrigan, New Orleans.